WEEKEND GIVEAWAY!! One e-book thank you to @Brenda Janowitz and $15 gift card to DD or Starbucks! Ends 7/26/17. USA Good Luck!!!! LIKE, FOLLOW, SHARE :LINDAS BOOK OBSESSION ON FACEBOOK! 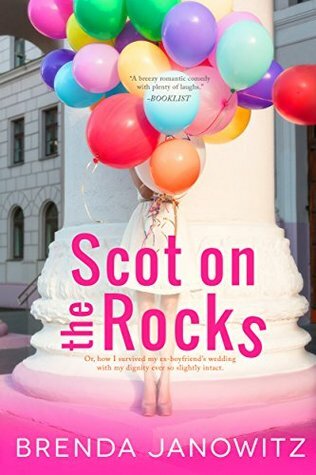 Thank you to Brenda Janowitz for one copy of the Kindle e-book “SCOT ON THE ROCKS” AND $15 gift card to DD or Starbucks. USA only. Ends Wednesday July 26, 2017. Would you go to an ex- boyfriend’s wedding if you were invited? Can you only imagine? ?I loved this book. Check out my review. This is a revised edition of the author’s book. Happy Reading! Enjoy!!! Following liked and shared. I would love to win. Thank you for the chance.